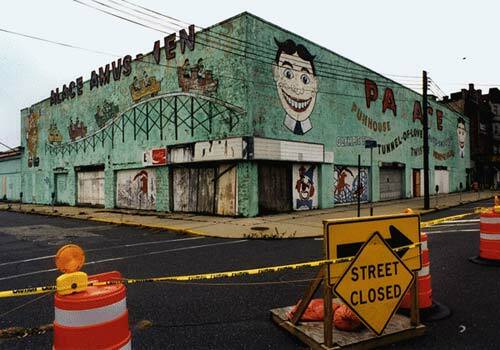 This site is dedicated to the repeal of the New Jersey Hotel Tax and the support and promotion of all of the businesses at the New Jersey Shore. It is our hope that the formation of a new organization, The New Jersey Shore Hospitality Association (NJSHA), and its collective voice will repeal this New Jersey tax and continue on into the future supporting tourism at the New Jersey Shore and maintaining an active voice in Trenton to insure that no future legislation will be passed which adversely affects New Jersey Hotels and all businesses this important region. The high prices associated with lodging at the Jersey Shore is the direct result of an extremely short season within which all of the operating costs of the entire 52 weeks of the year must be met. The New Jersey Hotel Tax has aggravated New Jersey tourists placing the cost of their rooms beyond their tolerance . One possible hedge against the collapse of seasonal lodging is extending the season and therefore decreasing the necessity of charging these high prices. An extended season if only by four weekends and some midweek programs, will not only act to stabilize prices but will also reduce the industries reliance on full occupancies during the present 10 week season. The New Jersey Shore Hotels, motels, B&B's are part of the fabric of summer vacation life, however they are not the only accommodations utilized for summer tourism as many homes, apartments and condominiums are rented on the same basis and target the same tourist market as due the motels/hotels/B&B's and pay NO TAXES WHATSOEVER. Our motels and hotels along the shore are in direct competition with realtors who rent residential units daily, weekly and seasonally and offer them without any of the additional costs of either sales, or occupancy taxes the which the lodging community must charge. The present legislation as implemented has been applied selectively to Motel and Hotels to their detriment and with a benefit to realtors and owners of seasonal rental properties. Seasonal rentals now offer their accommodations to tourists as tax exempt accommodations in direct competition with New Jersey Shore Hotel/Motel businesses. The concept of equal protection under the law precludes the singling out of any one class of individual whether business or otherwise from a larger common group for the application of a specific policy or law, in this case the New Jersey Hotel Tax, and New Jersey Tax as sales and use, which does harm to that class. It is for these and all of the aforementioned reasons that all New Jersey Shore Motels, Hotels and B&B's have the right to seek an amendment to exclude them from these New Jersey Tax, in this highly seasonal area. The New Jersey Hotel Tax violates the rights of Lodging owners. 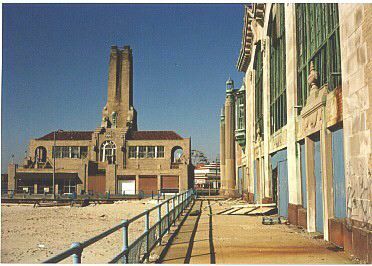 Collectively we will consider the filling of a class action suit to repeal or amend the New Jersey Hotel Tax as it affects businesses at the New Jersey Shore and any other New Jersey Tax which is selectively applied to only a segment of the businesses competing for the declining tourism business. If you are interested in helping establish or in any way supporting the NJSHA initiative to repeal the New Jersey tax please contact us by e-mail with the subject line New Jersey Hotel Tax. (NJSHA) will serve all of the Jersey Shore and will consist of a general board of directors each representing separate regions of the New Jersey Shore. We will announce a general meeting of all interested parties after the close of the summer season to address the New Jersey Hotel Tax, New Jersey Tax as applied through sales and use and exemptions which exist for seasonal rentals. Good luck and good weather to all of our New Jersey Shore Businesses.